Want to ring in 2019 surrounded by family and friends? Then this New Year’s Eve party will tick all your boxes. 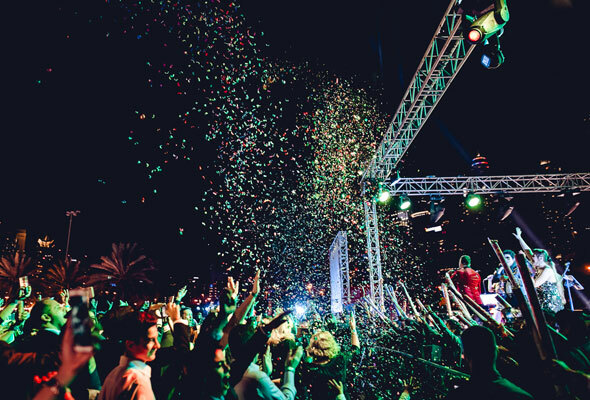 Emirates Golf Club will be transforming The Lawns into a lavish New Year’s Eve gala dinner, complete with a festive buffet, live entertainment and views of the epic Dubai Marina firework displays. The event will kick off at 7pm, with all guests given a welcome glass of bubbles on arrival to toast the end of 2018. From there, expect an open buffet of international dishes, live cooking stations and plenty of festive food including a turkey with all the trimmings. Guest can either opt for the soft drink package, priced at Dhs550, or the house drink package will set you back Dhs750 which includes free flowing drinks from 7pm until 1am. Bringing the little ones? It’s Dhs150 for children aged 5 to 12, or children under 5 eat free. To keep the adults entertained, expect a playlist of feel good hits spun by the resident DJ that are sure to get your toes tapping and two tribute acts as both Freddie Mercury and Abba take to the stage, that will no doubt have you dancing by the end of the night. 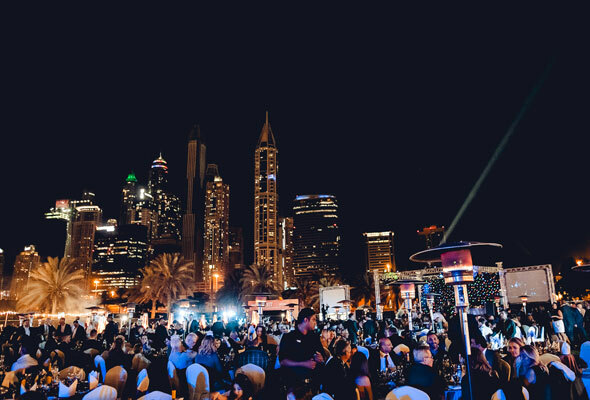 As midnight approaches, it’s eyes to the skies, as The Lawns will offer spectacular views of the Dubai Marina fireworks, ensuring that the bringing in of the new year is a memorable one for all.